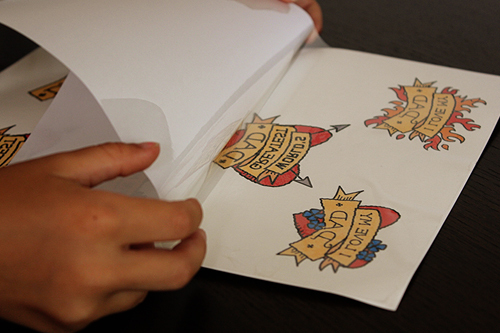 I Love Dad Temporary Tattoos for #Fathersday « Adafruit Industries – Makers, hackers, artists, designers and engineers! This Temporary Tattoo Tutorial from Alphamom is a fun and easy diy father’s day gift you can make and enjoy with your kids! Mothers have been the subject of tattoos since forever. Popeye, sailors, scruffy looking biker dudes…they all have tattoos in honor of their moms. Isn’t it time that Dad got some ink action? How about some temporary tattoo ink action? Now we’re talking. That’s something the kids can wear?! 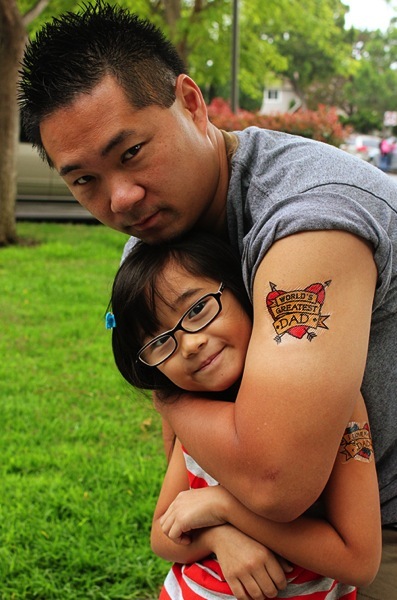 And wouldn’t it be fun if they wore their “World’s Greatest Dad” and “I Love Dad” temporary tattoos on Father’s Day? I think that would make Dad’s day.